Thousands of people rose to the challenge of getting creative and learning new skills as part of an ambitious arts project in a Midlands town. The I Am Tamworth project attracted overall audiences of more than 100,000 people, while 7,300 local residents discovered and explored their creative talents. The 18 -month project was funded by Tamworth Borough Council and Arts Council England with the aim of encouraging people who had never taken part in the arts before to get involved in a wide variety of creative activities, all of which were free. 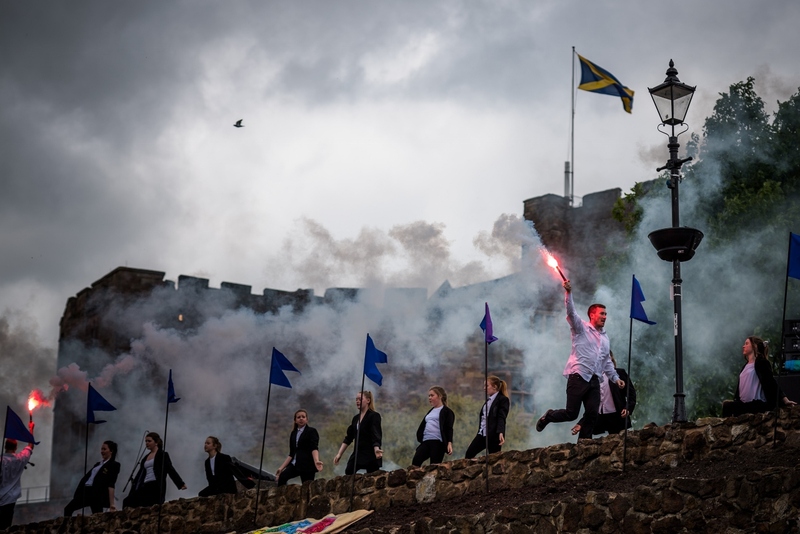 One of the major initiatives was a huge outdoor production in the grounds of Tamworth Castle involving Tamworth schools, community groups, dancers, singers and knitters working with the Motionhouse dance company. The production of 'Tigress' told the story of the Saxon warrior Queen Aethelfleda and involved 860 participants and was seen by around 5,000 people. I Am Tamworth also gave local people the opportunity to work with world-renowned organisations including the Birmingham Royal Ballet and Motionhouse dance company, as well as enabling them to perform on stage at Birmingham Symphony Hall. 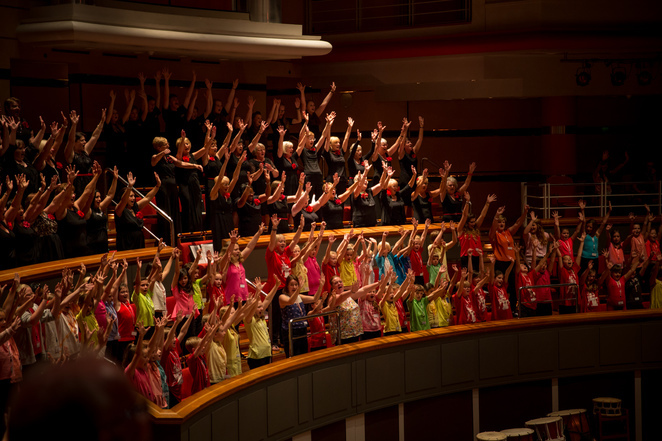 The launch event gave more than 400 Tamworth artists and groups the chance to showcase their talents on a national stage in front of 1,000 people at Symphony Hall. Results of the project reveal that more than 40 per cent of participants had never taken part in an arts event or activity before, while 96 per cent have been inspired to attend future events. Activities included 93 arts taster sessions at community venues across the borough, while 32 local venues, 35 partner organisations and 68 artists took part over a total of 759 days. I Am Tamworth was specially created by Tamworth Borough Council's Arts & Events team to celebrate the 125th anniversary of Tamworth Assembly Rooms. Tamworth Borough Council's Cabinet member for Economy, Cllr Steve Claymore ,said: "This was a fantastic project with some marvellous results. I Am Tamworth aimed to give every single person in the borough the chance to try something new and it has been a major success in that respect. People were able to learn new skills, make new friends and in some cases have continued their participation in arts activities. "It has also been really positive for the town as a whole; in terms of increasing community pride, raising the profile of Tamworth and boosting the economy. Several of the events attracted national attention, such as the Trotters Trail and Tigress, and we received thousands of visitors from outside the area." The Trotters Trail involved 16 'pop-up' pigs made out of wood and metal which were designed by a school or community group together with help from artist Luke Perry. 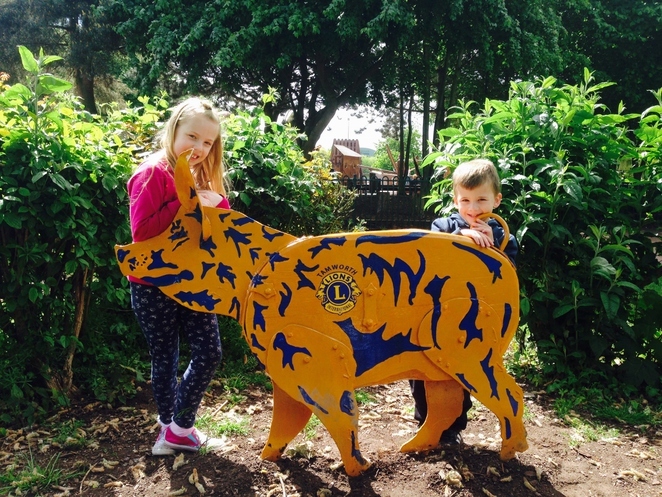 The 'porkers' were placed in various locations across the borough and people were encouraged to follow the trail to increase footfall in certain locations.